This is a FREE step by step guide from start to finish on how to help you understand and develop your WordPress, Genesis and “Studio Press Theme” built website. WordPress is an open source Content Management System (CMS), often used as a blog publishing application, powered by PHP and MySQL. It has many features including a plug-in architecture and a template system. WordPress is used by over 13% of the 1,000,000 biggest websites. It was first released on May 27, 2003, by Matt Mullenweg as a fork of b2/cafelog. As of February 2011, version 3.0 had been downloaded over 32.5 million times. Genesis Framework installs into the wordpress content management system. 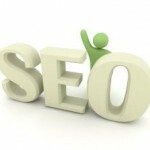 Genesis uses state of the art code and smart design architecture which mean search engines clearly see your content. And with automatic updates to Genesis, you never really have to think about it again. Studiopress is a leading premium word press theme provider, they have created premium wordpress themes for years, and because of the professional design and quality coding, many people use studio press themes. One way to keep it straight might be this way; Studiopress offers a wide selection of premium WordPress ( the mother ) themes based on the excellent Genesis ( the father ) Framework for attractive appearing StudioPress website and blog ( the child ) themes. OK, that was a nice story! NOW, here’s the reality of the situation. Studio Press by Word Press ‘administration log in area” works best for me when I use FireFox instead of Widows Internet Explorer. You will need to install the WordPress (as of January 2012 version 3.3.1 was the latest version available, try to install the latest available version ) software onto to your MySQL data base enabled Linux server based preferred web host account. In 2012 most consumer friendly WEB HOST service providers offer auto install of wordpress either directly through their data base service area or C-Panel (contol panel) area. You need to install the Genesis framework which is needed to empower your StudioPress theme. Now you need to load your StudioPress Theme. Now you will need to load some basic StudioPress Plugins. Anthony has been designing, building and marketing internet websites for over fourteen years. In 1997 he founded ProNetUSA.com, a website design and marketing firm now with offices on the East and West Coasts. Anthony has been and continues to be involved in all aspects of the website development and internet business marketing field. His experimentation with new marketing systems and search sciences have put him on the cutting edge of website construction and internet promotion. If you found this information helpful please help us keep this website free by making a donation. How you may become an information text author-contributor to this website. Are Social Media Signals the Answer for Quality Backlinks? Google Quality Raters Handbook – does it exsist? Google Raters and who are they? This website is a no profit website. It is built and maintained by contributors who donate their time, input and services. I ask when conveniently reasonably possible to please support the contributors by patronizing their businesses if and when you need paid help. After all without their generous help the free information on this website would not be possible. Help keep this free website available to the public by donating or by contributing relative text and information. Website web pages unlike book and magazine pages or printed pamphlets do not use paper from trees. So please feel free to create all the web pages you need. Copyright 2011 ProNetUSA.ORG . This StudioPress - Wordpress website installation and design by ProNetUSA business websites, Internet Marketing and Product Development.